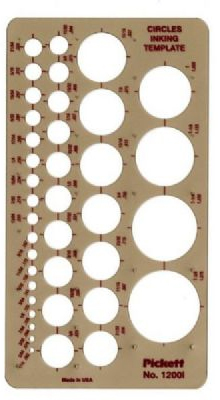 Circles Drafting Template Contains 39 circles from 1/16" to 1a". Built-in risers. Size: 4" x 1/4" x .030".